The weather forecast for Friday was fairly awful. 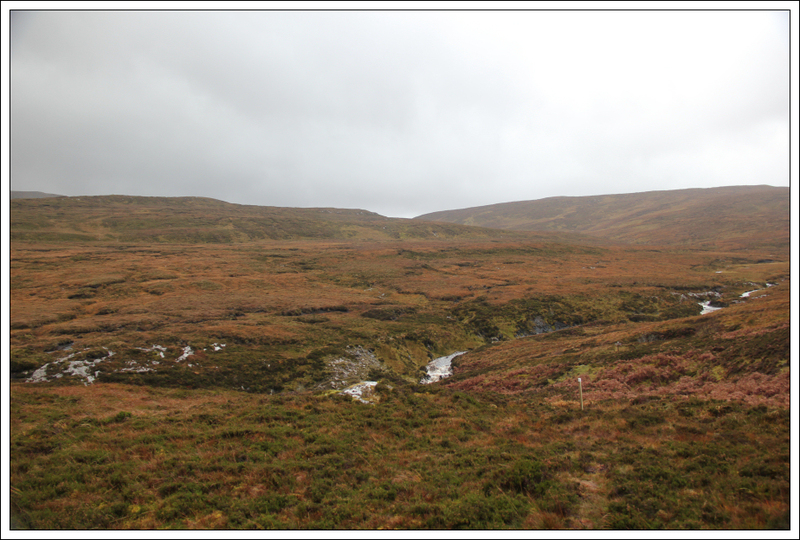 I therefore decided to undertake what I thought would be a short, easy hill en-route to spending the weekend at Inchnadamph. 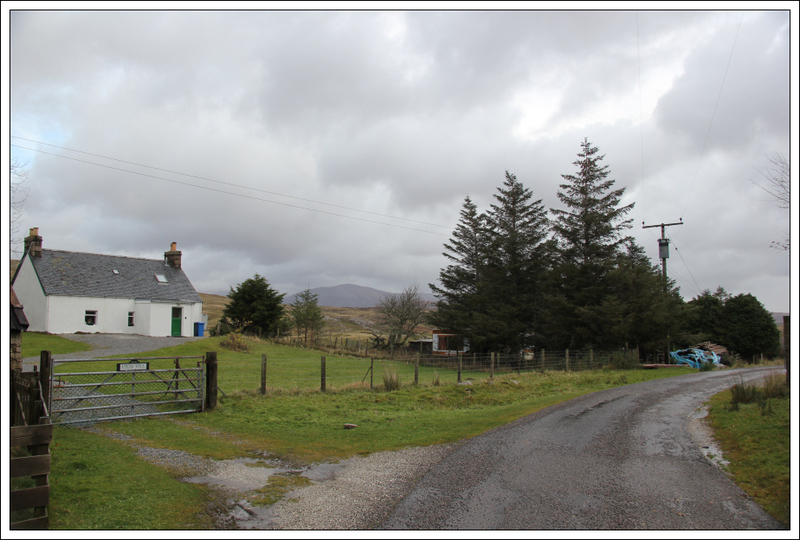 I parked in a small lay-by on the A835 at Elphin where there is room for two or three cars. 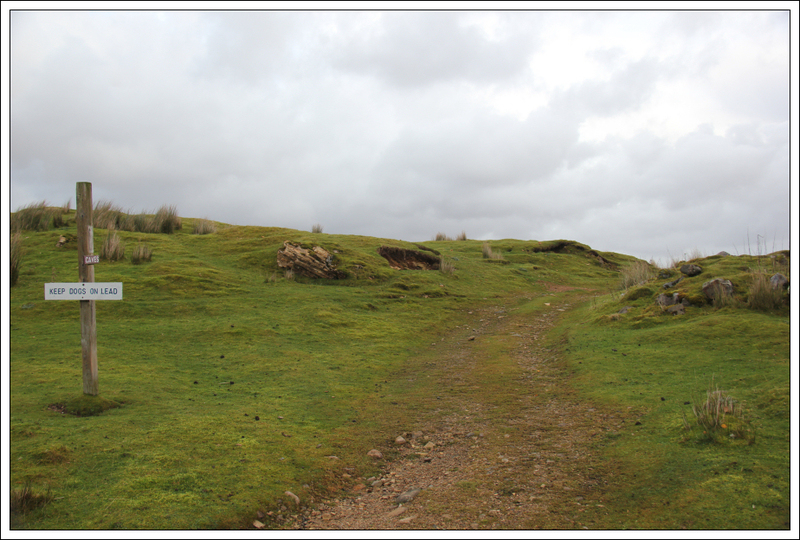 From the lay-by, I followed the small crescent road to reach the start of the track. It was nice to walk past Viewhill. 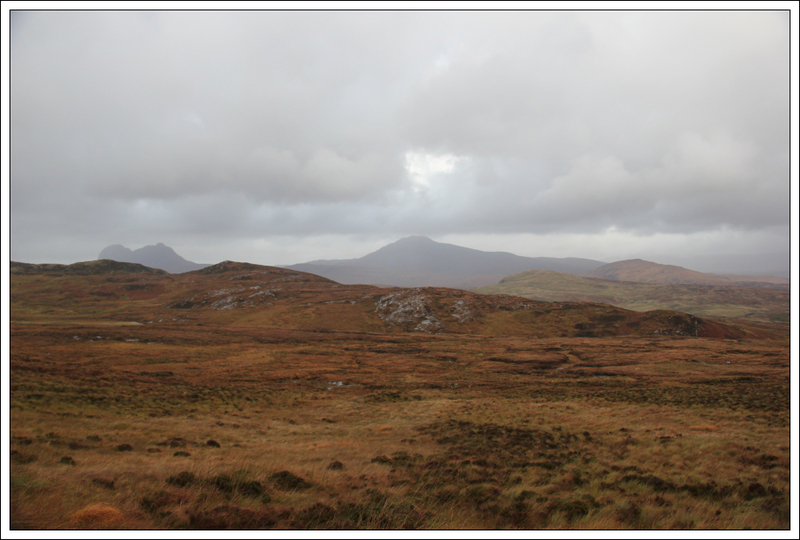 I stayed at Viewhill for a week back in 2006 whilst Corbett-bagging in the area. 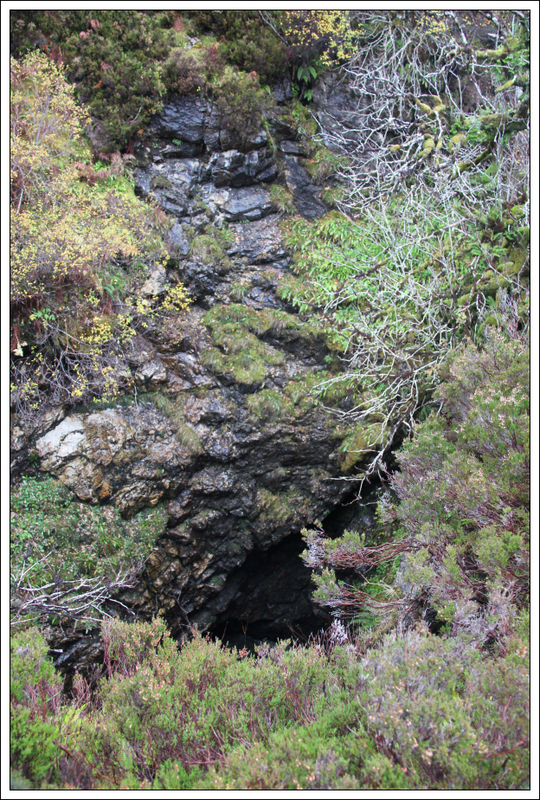 The track initially skirts round the back of a house before heading in the direction of Uamh an Tartair (cave of the roaring). There is a sign advising to “keep dogs on lead”. 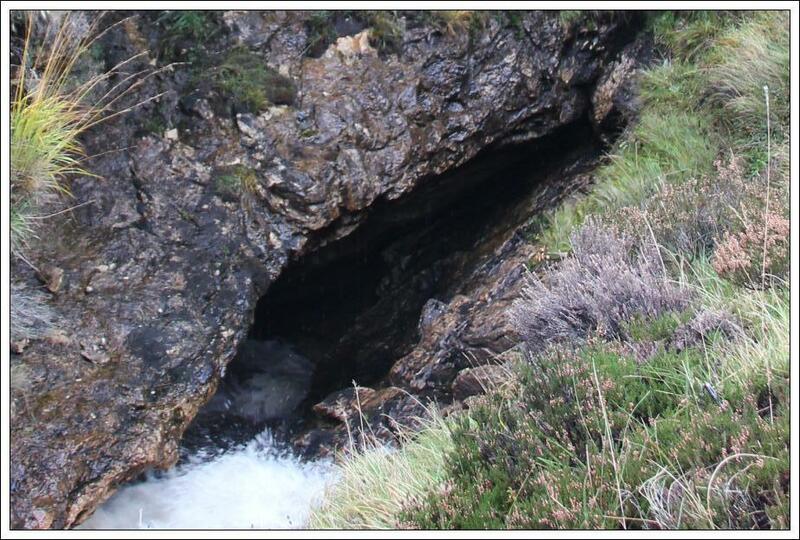 This is good advice as your dog could easily disappear down a hole in this area into the cave system. There are several small signs marking the way to the caves. I decided to follow these signs as I was just as interested in seeing the caves as I was ascending the hill. 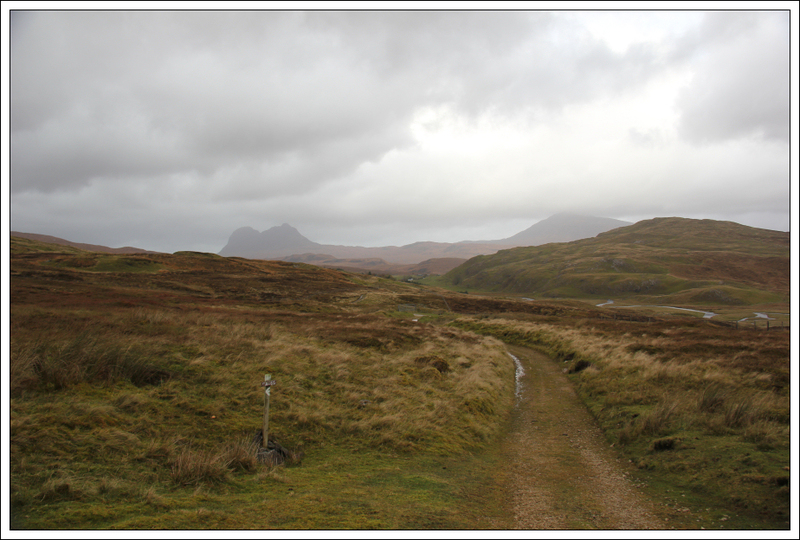 I left the good track after circa one mile and then followed a number of small marker posts leading towards Uamh an Tartair. I was really impressed with the large pothole at Uamh an Tartair. This is located a short distance above the cave entrance. This large pothole isn’t fenced off so you need to take care if looking over the edge to take photographs. 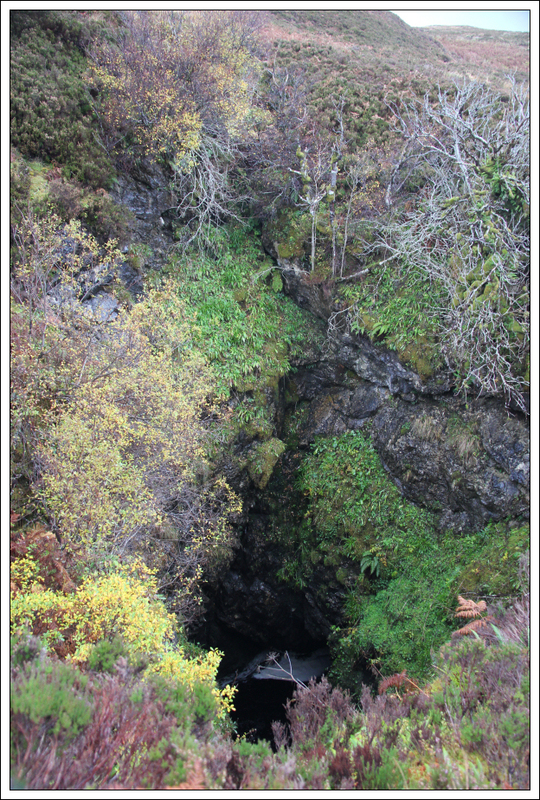 From the edge of the pothole, I walked a short distance away towards the cave entrance. 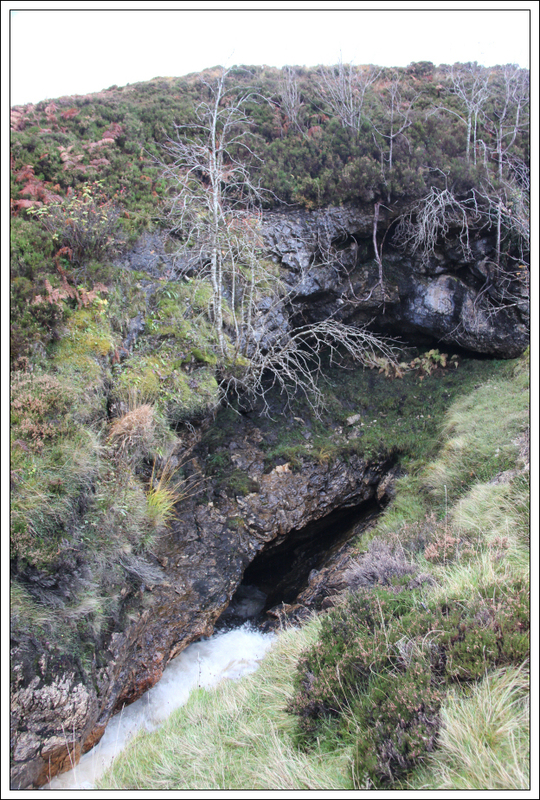 If ascending Meall Coire an Lochain it is advantageous to come via Uamh an Tartair - the Abhainn a’Chnocain flows underground here so you can avoid having to cross the river. 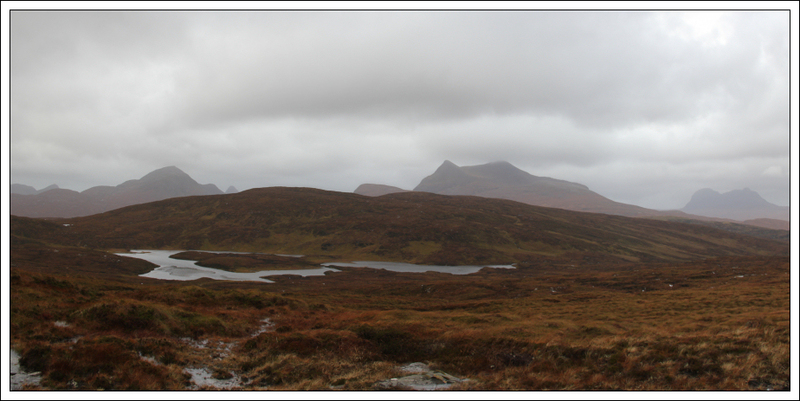 With all the recent rain the Abhainn a’Chnocain was in spate. 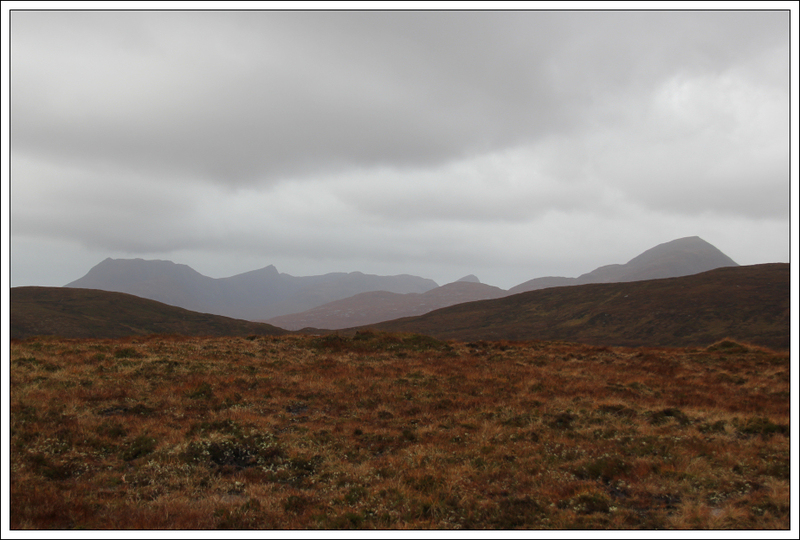 Beyond the cave, I made my way towards Meall Preas a’Chreamha. 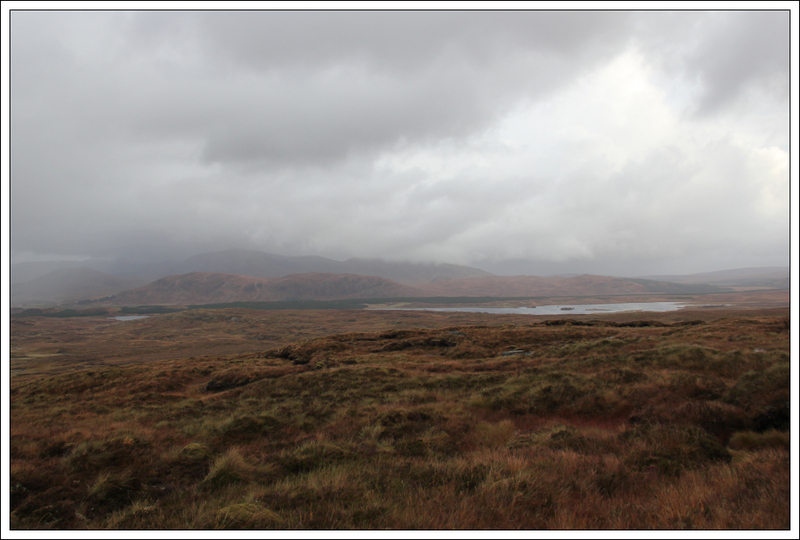 The terrain wasn’t particularly pleasant, really wet underfoot and there was worse to come. During the walk there were several heavy showers of hailstones. These were quite painful in combination with the gale force winds. 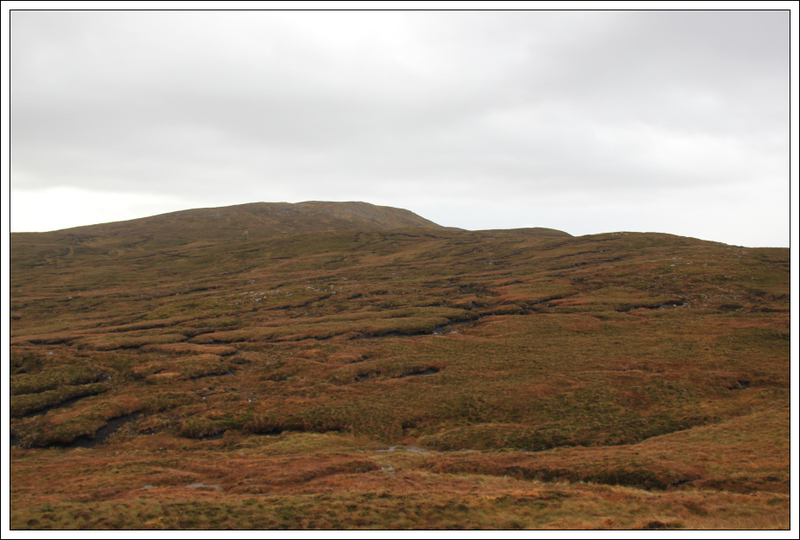 As I approached Meall Preas a’Chreamha the number of peat hags increased significantly. 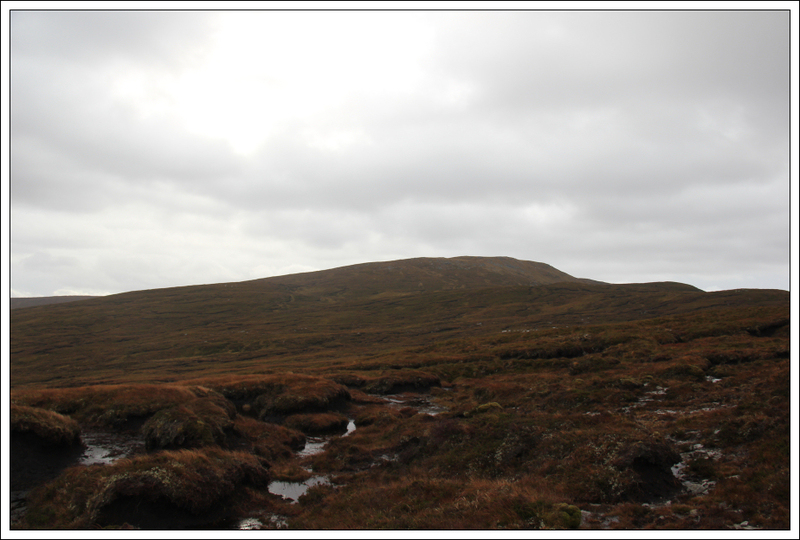 After crossing circa one kilometre of peat hags I reached the final 100m of ascent of Meall Coire an Lochain. 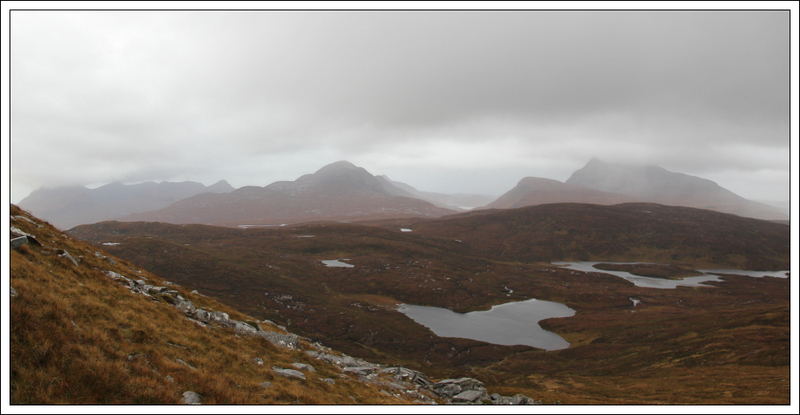 During the ascent I got fairly good views across to the Coigach and Assynt hills. This hill would be a superb viewpoint on a good day. 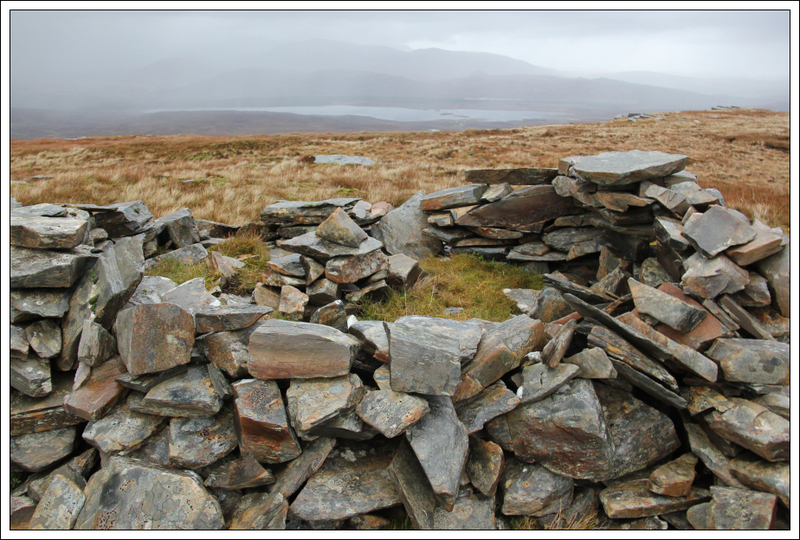 After visiting the summit shelter, I continued on a few hundred metres to visit another nearby cairn. This second cairn was definitely lower than the summit shelter. During the walk back there was the most almighty crash of thunder directly overhead. I wasn’t particularly happy with encountering thunder on the hill as no thunder had been forecast. Later in the evening the thunder and lightning returned – an incredible storm!